In just a few more months we will see grass and flowers again. Just like in our photo. But for now, it's ice, ice baby. I don't mind the snow and cold weather. The Husky in me loves it. Mom gets annoyed because at home, I will just sit quietly (mostly) on the steps of the deck and watch the squirrels and birds. She'll check on me to see if I want to come in every once in a while. If I bark at the neighbors or people walking by, I have to go inside. And I'd better not argue with her about it, either. If I do, I get scolded and have to lay on the floor like a regular dog and not on the sofa like the King I am. We have a new Winter "OPEN" flag that Mom and Grandma hang out near the door. Mom keeps burying the ground post under snow so we had to get another flag. So, if you don't see the flag out by the road, take a glance towards the front door for our new red "OPEN" flag hanging up. And our "OPEN" lighted sign is in the window, too. I have lots of new stuff to show you this month. We just got in a new Moda Collection called Summer on the Pond. 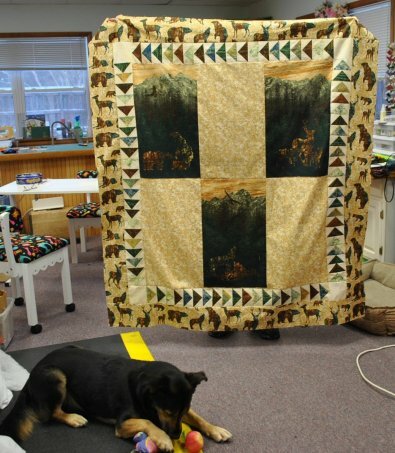 We thought it would make a great quilt for a camper, bird watcher or lakehouse. If you know someone who loves to go watch the Herons at their nesting site, this would make a great quilt for him/her. The colors are great for a mansculine or feminine quilt. 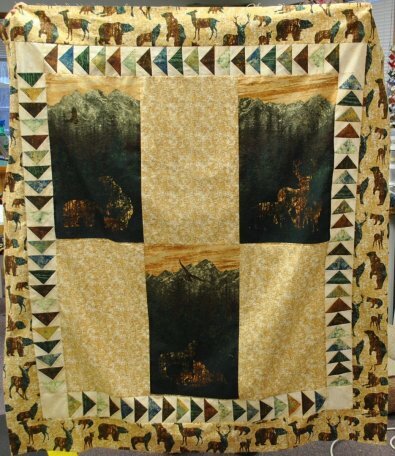 Mom designed a quilt using Northcott's Aspen Ridge Collection. Grandma did most of the sewing. Mom says she thought maybe all the dark colors in the collection may be making people shy away from it. So, she came up with this design to showcase the Collection. Doesn't the panels and colors just pop now? 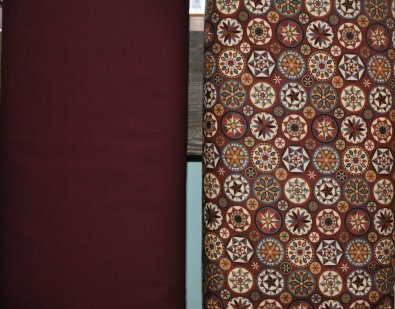 Another Northcott Collection recently arrived is Heritage Quilting. Here's the digital panel and coordinating fabrics. It's a very small collection. And this is what Grandma did with the panel. She added a coordinating color we had sitting on our shelves. We have 3 2018 calendars left. They are now 50% Off. 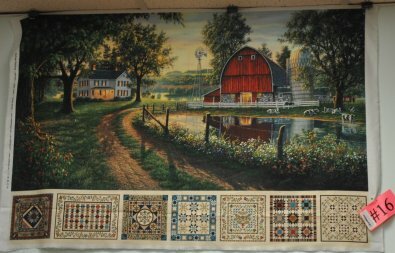 They include patterns for the quilts shown in the calendar. 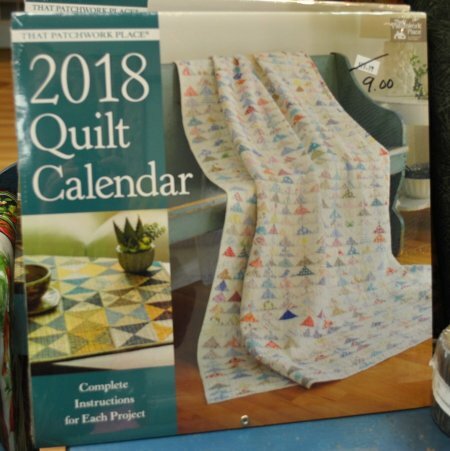 Your getting a cool calendar and 12 patterns for the price of one pattern. This is a great deal! 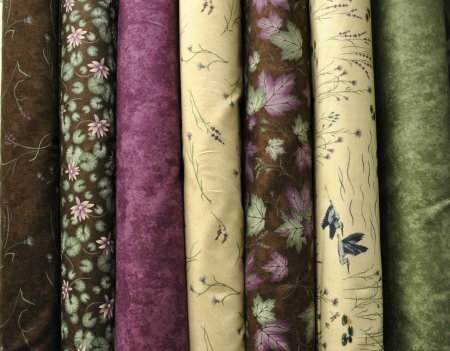 Our final shipment of Northcott's Canvas Collection will be arriving in February. This will complete the collection of Northcott's new blender collection. Keep stopping in. You never know what new collections will be hopping onto our shelves or new ideas Mom and Grandma will come up with for our Collections. 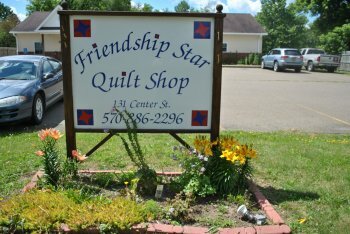 We have two (2) Complimentary One (1) Day Admission Tickets to give away to the American Quilt Society QuiltWeek Quilt Show in Lancaster,PA. The Show dates are March 21-24, 2018. 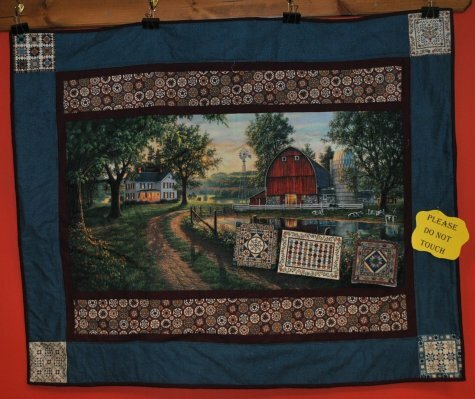 Two lucky quilters will get one Admission Ticket each for QuiltWeek. Stop in to sign up to win an Admission Ticket. On March 12th, we will draw 2 Winners. If Admission Tickets are not picked up by March 15th, we will draw another name. refreshments provided. Show and Tell projects are encouraged. 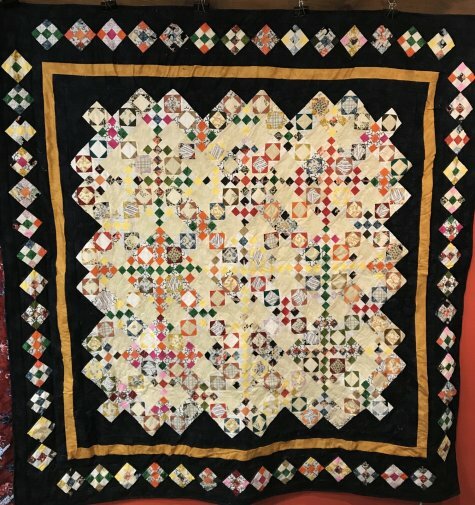 Learn to make this scrap quilt. It looks hard but it's actually very easy. WE DO REQUIRE A MINIMUM OF FIVE (5) DAYS ADVANCE SIGN UP FOR ALL CLASSES. Just as reminder, Mom does service and repair sewing machines most all makes and models. Basic Service (cleaning, oiling and tension adjustment) $54.95 + tax. I think I have covered everything happening around the Shop for February. I hear a customer coming in to visit me. I've got to run. Supervising is a tough job as you can see! Counting my toys is important, too. HAPPY VALENTINE'S DAY TO ALL MY GIRLFRIENDS!